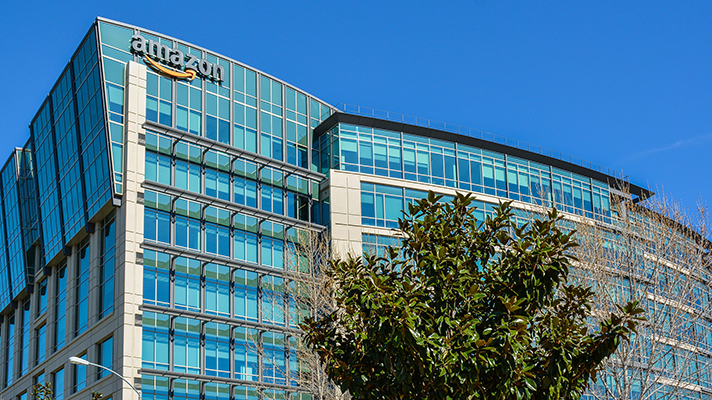 Yes, Amazon rattled the healthcare market on Tuesday when it announced a partnership with Berkshire Hathaway and JPMorgan Chase to create a nonprofit healthcare company focusing on cost reduction, increased transparency and user satisfaction. And, no, the trio did not reveal much in the way of details. Even still, there are strategies hospital IT executives can embrace immediately because it’s safe to say some kind of change is coming — though we don’t know exactly what it will look like just yet. While there is a reason to be skeptical that Amazon, Berkshire and JPMorgan can radically overhaul the industry in short order — and, bluntly, at this point questions outweigh answers — more than just one deal with gigantic disruption potential is happening right now. Wolf pointed specifically to CVS announcing its intent to acquire Aetna for $69 billion and DaVita selling its managed care group to Optum in a $5 billion deal as two recent examples. Apple revealing its plans to add medical records to the iPhone is another. Rasu Shrestha, MD, Chief Innovation Officer at UPMC, said that hanging on to today’s ways of doing business only makes hospitals vulnerable to failure and, ultimately, being rendered irrelevant. Palmetto Health-USC Medical Group Executive Director of Clinical Informatics Nick Patel, MD, agreed that disruptors such as Amazon, Berkshire and JP Morgan should inspire large healthcare organizations to think differently about care delivery, quality improvements and patient experience. It’s not just Amazon, either. Patel said JPMorgan and Berkshire Hathaway have the potential to advance transparency, leverage economies of scale and bring expenses down to revolutionize cost-savings. But how, exactly, can hospital and IT executives actually make all that happen? Wolf recommended focusing on three action items: craft a strategic plan for unknown connectivity, think on a network basis, and train your workforce for an outside-in approach to exchanging health information. Strategic connectivity. CIOs who have not already done so should be thinking strategically about connectivity with unknown services, features, institutions with different information feeds, Wolf said, and that includes understanding what you want to accomplish and knowing how to partner accordingly. Workforce training. Wolf said the need to train staff in terms of information for that outside-in approach is an increasingly common issue and hospitals should be creating a working platform to address both network and human standpoints. That means hospitals have to start cultivating the necessary skills for the rise of consumerism in healthcare, according to Bill Russell, CEO of Health Lyrics and former CIO of St. Joseph Health. “Health systems may want to take this moment to sit across the table with the largest employers in their community to develop services that address their specific needs,” Russell said. That tectonic shift should also include making it easier for patients to do business with you, said Will Weider, a long-time healthcare CIO. “We need to recognize that our customers don't want to be restricted to business hours that don't fit their schedule, or having to make phone calls to conduct business,” Weider said. Weider added that, for the most part, even seemingly simple tasks, such as registering to use or resetting portal passwords and scheduling are often difficult in healthcare. All of this is not to say that hospital executives should fear Amazon, CVS and Apple. Rather, they do have advantages in terms of know-how and real-world experience, UPMC’s Shrestha said. Regardless of what Amazon, Berkshire and JPMorgan ultimately create, whether it’s called Healthcare 3.0 or something else, Wolf said it will inevitably have to connect back into the medical model.